The Intercultural Community Immersion Program provides an opportunity for qualified students with an interest in international or cultural studies to live and work in a rural, Bolivian community for a period of three to six weeks. The program is operated through a partnership between EIA, the participating university, and the community. Community benefits include cultural and technical interactions with students from the global north that can enhance the quality and sustainability of development programs being implemented in the community. 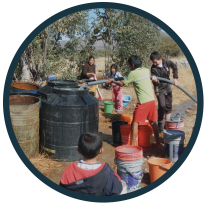 Student benefits include developing a better understanding of rural, Bolivian cultures; of the challenges of implementing effective WASH programs in remote and impoverished regions; and of the factors that impact the sustainability of development programs. 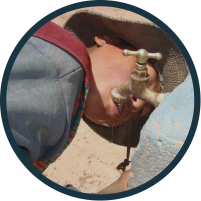 EIA benefits include gathering of important community baseline data that can enhance the effectiveness and sustainability of ongoing WASH programs that will help to enhance the community’s health and wellbeing.